Create favorites like cones and sundaes, hand-spun shakes and whirl-ins, cakes and signature frozen novelties from a single flavor soft serve machine. 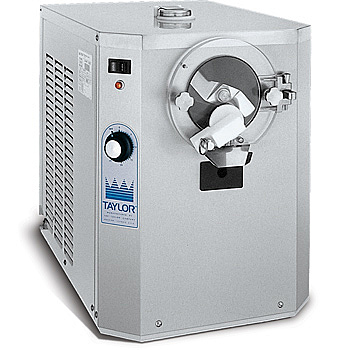 Available in a variety of styles and options, including a gravity or pump mix delivery system, countertop or free standing floor model, thereu2019s a Tayloru00ae single flavor soft serve freezer to fit your operation. With a wide selection of mix variations, you can serve ice cream, frozen custard, sorbet, or frozen yogurt to please all of your customersu2019 tastes. With easy-to-use operation, Taylor foodservice equipment delivers consistent quality products draw after draw. Your local authorized Taylor distributor can assist you with planning and customizing options to best suit your foodservice operational goals.